You would never call Mark Hogancamp and Bosco Sodi landscape artists, but their concurrent exhibitions at Pioneer Works underline an improbable parallel between these two artists whose works are in many ways worlds apart. They are both world-makers. Hogancamp has created a vast, one sixth scale model of a Belgian town circa World War II in his yard in upstate New York, where he stages elaborate narratives starring toy figures that he then photographs. 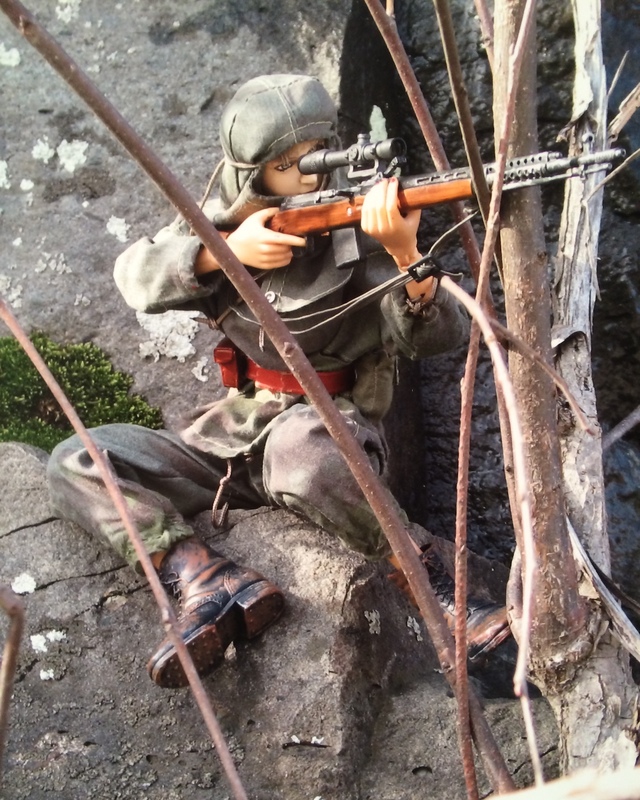 He began building the town, named “Marwencol,” while recovering from a vicious beating that left him in a coma. Many of the stories that play out in his works focus on the interactions between the villagers and Nazi troops that periodically attack and occupy the city. There are violent battles, kidnappings, and rescue missions, but also tender scenes between villagers, moments of calm amid the mayhem, and extreme closeups on vivid details of the dolls’ surroundings — like, here, a photo of tiny doll dresses fixed to a tiny laundry line with miniature clothes pegs. The characters inhabit a tiny Belgian village sound stage of sorts that is just as fully realized as the interactions between them. 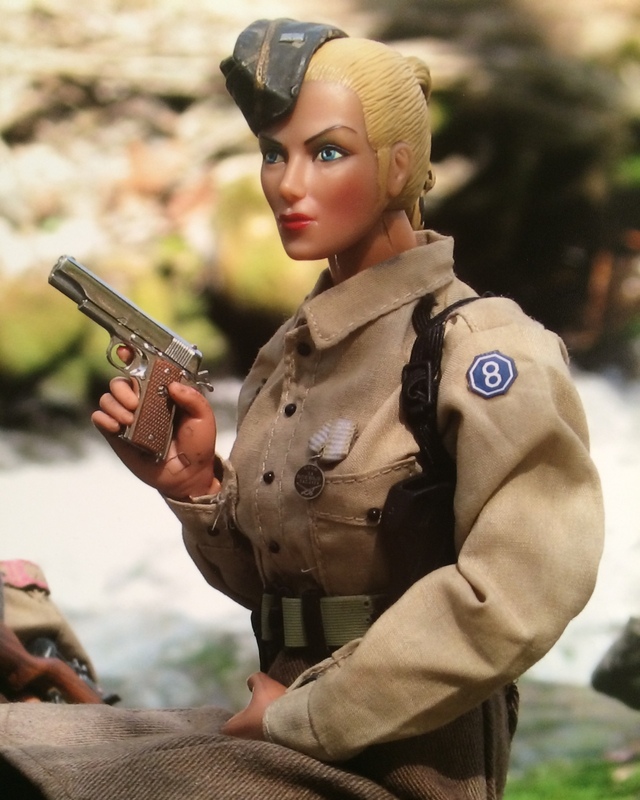 The exhibition at Pioneer Works, The Women of Marwencol, highlights the female characters in this miniature military drama and showcases a new set of works made with human-size mannequins. The carnage in some of these works is more graphic than anything I can remember from Hogancamp’s earlier series. 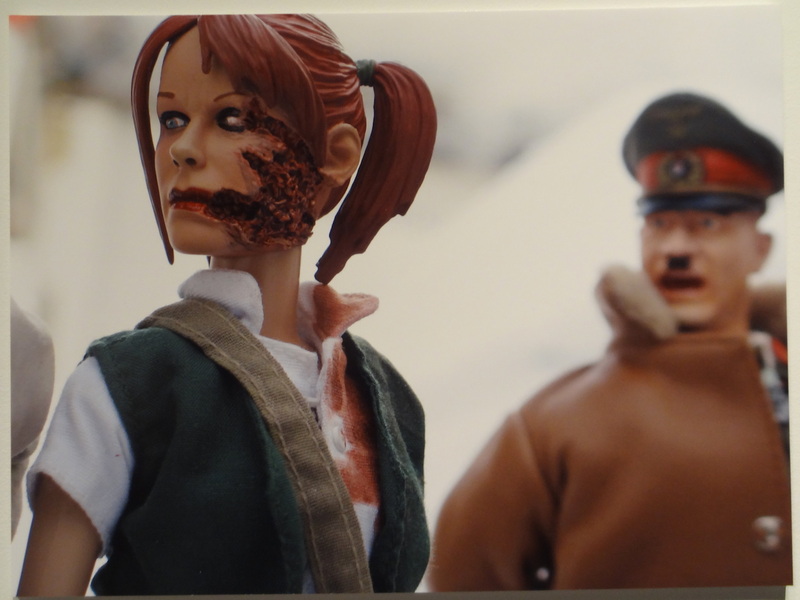 In one piece, a female figure with an enormous and impressively realistic gash on her face and blood all over her shirt looks away while a male figure made up to resemble Hitler looms menacingly in the background. But there’s also a renewed emphasis on domestic scenes, and those executed with life-size rather than doll-size models are especially powerful precisely because the characters don’t immediately register as mannequins. One such image here features two female figures perfectly framed by a doorway that seem to be about to embrace. 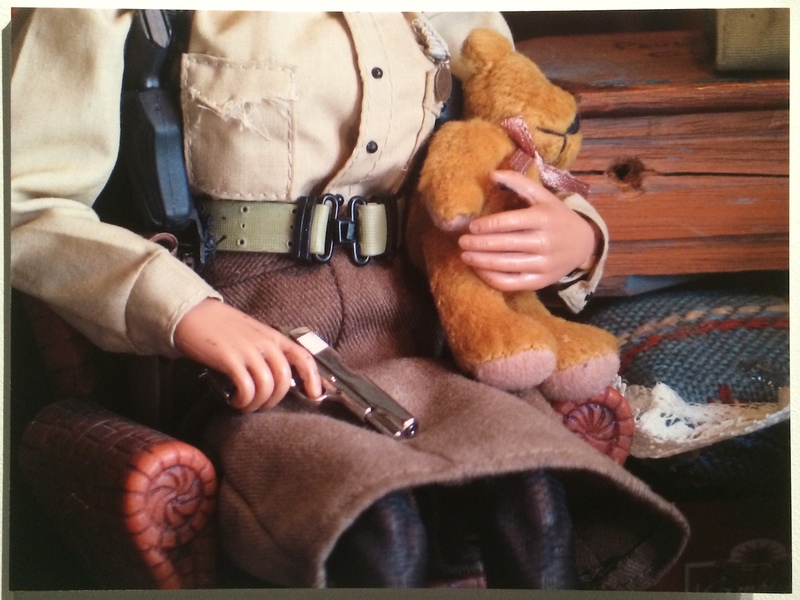 The photo evokes Nan Goldin and Cindy Sherman, yet remain firmly rooted in the unique mythology of Marwencol. They portend a compelling evolution in Hogancamp’s world. 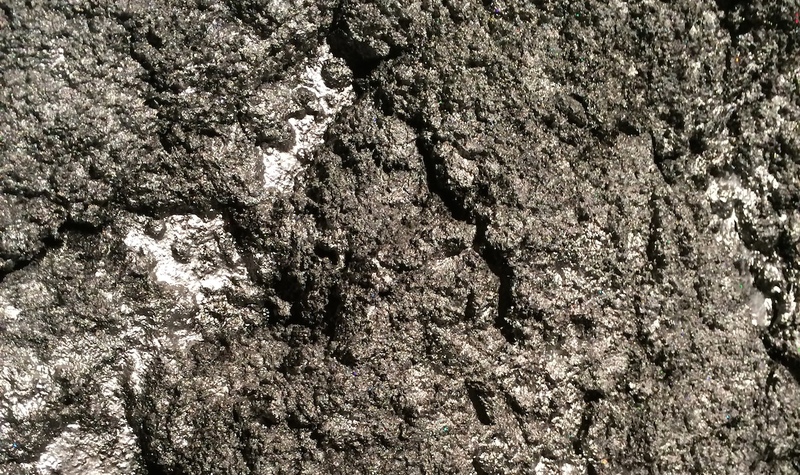 The connection to the landscape in Bosco Sodi’s work is at once more abstract and more obvious than in Hogancamp’s photos. 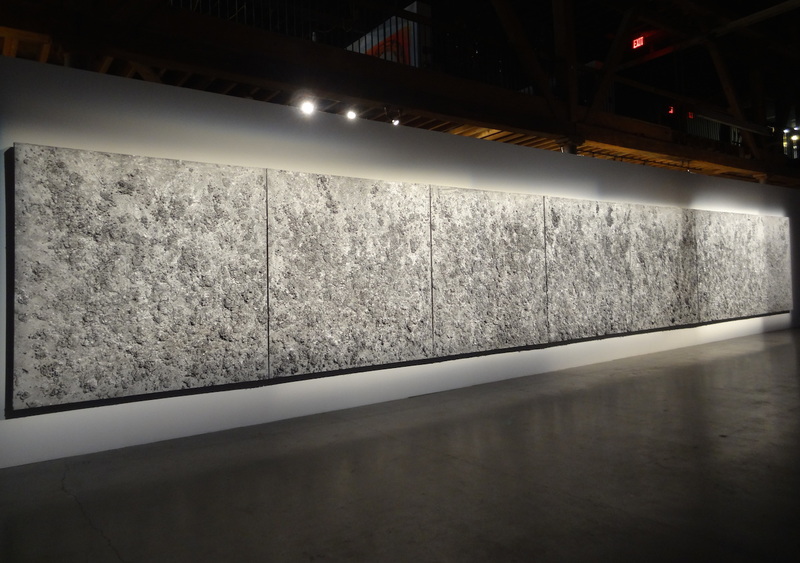 From afar Sodi’s massive, sculptural paintings — the centerpiece of this exhibition, The Last Day, is 57 feet long — resemble the scorched and cracked dirt of the desert floor. Up close their grooves and mounds, which he manipulates by rubbing, dripping, dropping, and throwing pigment and other materials onto his canvases by the fistful, resemble the ridges, valleys, peaks, lakes, and hills of some miniature planet’s monochromatic crust. The three new works on view here are all made with silver pigment, some of it speckled with glitter, giving the entire show a magical, shimmering quality. They make the main gallery of Pioneer Works feel like the interior of a mine where some glistening mineral is being extracted. 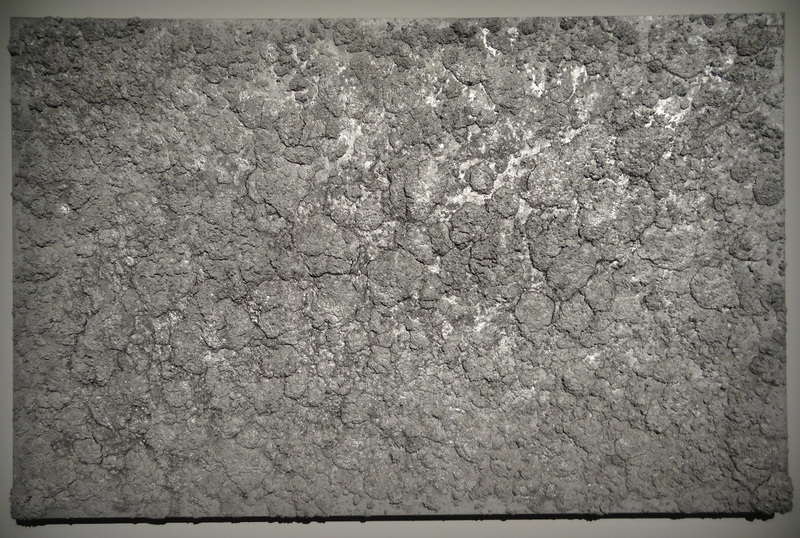 The choice of metallic pigment adds another uncharacteristic element to his work: It gives it a completely different and bewildering weight and texture. You get the sense that these works weigh tons, and are as solid as steel, which is a kind of material trickery not present in Sodi’s series of blue, pink, red, green, or black paintings. Perhaps he is embarking on an alchemical phase; no doubt gold pigment will be next. These serendipitously juxtaposed exhibitions showcase exciting new wrinkles in each artist’s practice, but they also hint at a missed opportunity for collaboration. 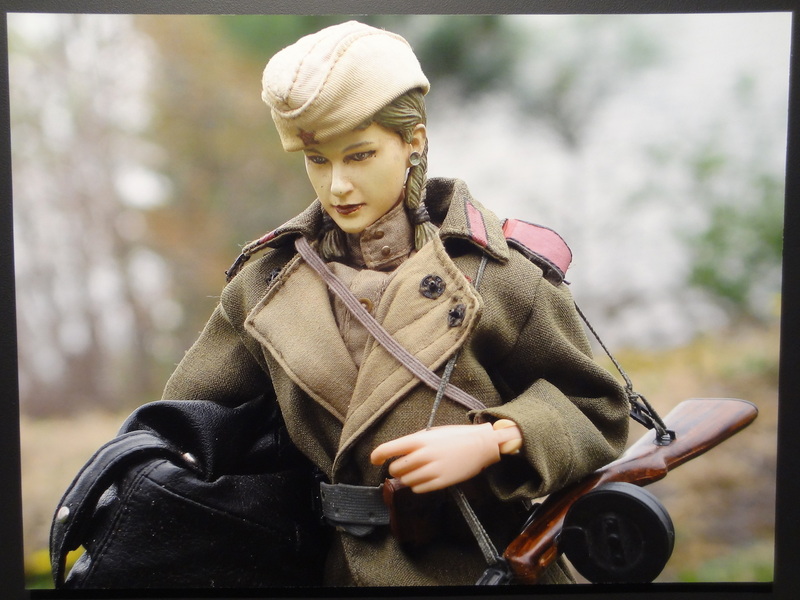 Why is there not a new episode from Hogancamp’s Marwencol universe set on a landscape of Sodi’s silver hillocks? Maybe that’s an unreasonable request, but it’s the only thing this pairing of their very differently immersive worlds left me wanting. 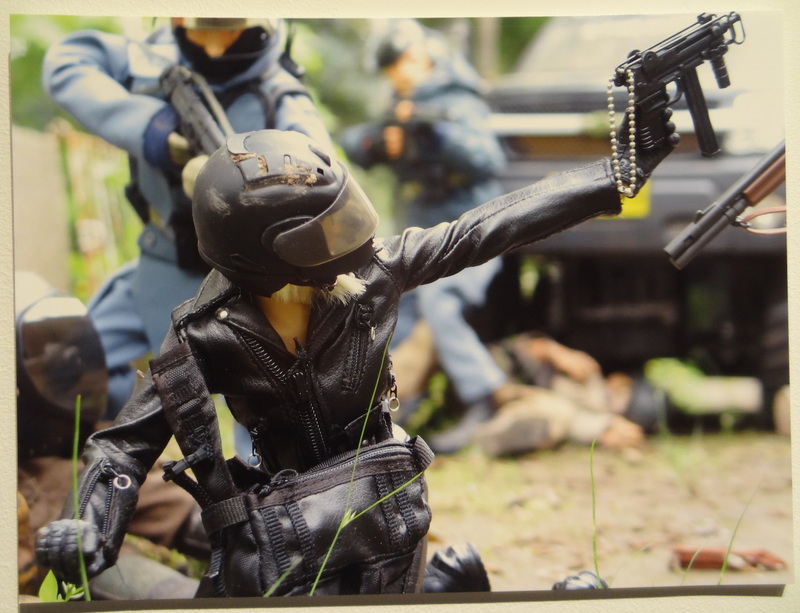 Mark Hogancamp’s The Women of Marwencol and Bosco Sodi’s The Last Day continue at Pioneer Works (159 Pioneer Street, Red Hook, Brooklyn) through December 14.